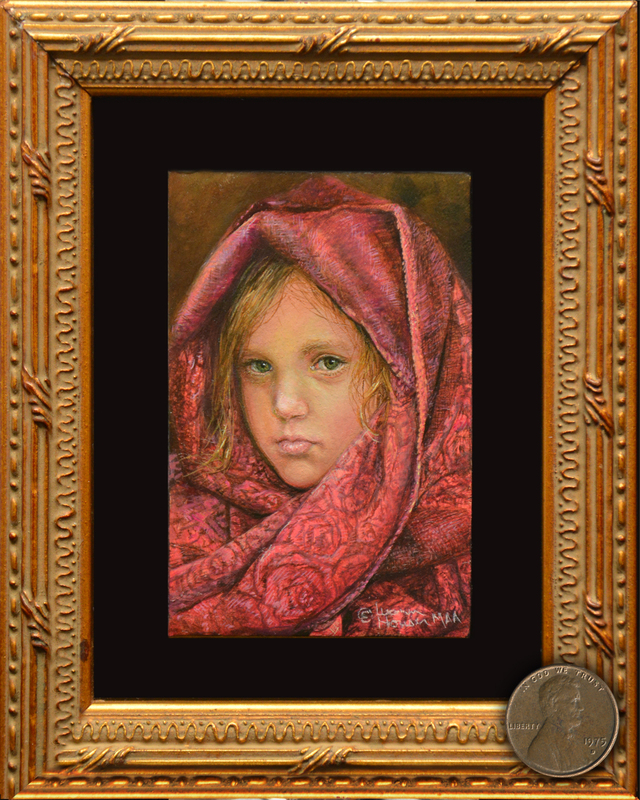 Luann is pleased to announce her painting "Aleighna" (oil, 2 X 3 inches) was awarded the Mundy Sovereign Portrait Award at the 2018 Royal Society of Miniature Painters, Sculptors and Gravers Society Show in London, England. She is honored to also announce that a second painting, "Shawnee Autumn" (oil, 3 X 4 inches) was juried into the show. The Royal Miniature Society has been devoted exclusively to contemporary miniature art since the first exhibition held in 1896, and continues the tradition of promoting and exhibiting the best contemporary miniature art in the world. The Society is proud to have His Royal Highness The Prince of Wales continues as Patron of the organization. The exhibition comprises 700 paintings from miniature artists around the world. The show will is hanging at 17 Carlton House Terrace, London England in the historic Mall Galleries district. Contemporary miniature art enjoys a long, historic tradition in fine art, demanding exquisite detail and tiny size, in addition to design, concept, color, technique, attention to anatomy, lighting, clarity and depth. A traditional miniature art painting must be contained in a frame size that is a maximum of 6” X 4.5”. Most miniature paintings are under a maximum of 24 sq. inches. Magnifying glasses are encouraged as a way to view and enjoy the stunning detail. 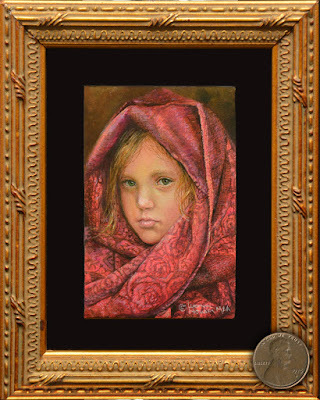 Luann has won many miniature art awards in the US, including Best in Show at the Miniature Art Society of Florida. Current paintings by Luann are hanging in Washington, DC at the Miniature Painters, Sculptors and Gravers Society, where her painting “A Lady and Her Gentleman” was awarded a 2nd in Oil. Her painting “Traveling Companions was awarded “Best in Historic or Mythical” Category at the Miniature Art Society of Florida, and will hang with 4 other of her paintings at their annual exhibition opening January, 2019. Luann’s choice of painting art in miniature has brought success and recognition across the United States. She considers her inclusion in and award at this international show in London a tremendous honor. She paints in oil on board, and her subject matter ranges from portraits of humans and animals, and historical subject matter. 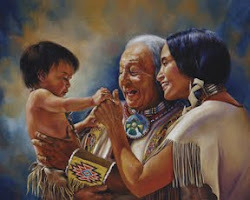 Luann considers her art to be traditional representational art. She demands accurate anatomy and detail as a feature of her paintings, relying on her own traveling experiences, family and friends (both two legged and four) as inspiration for her work. More history on the origination and history of the Royal Miniature Society on their website listed above. Paintings are for sale, and also may be viewed at the website. 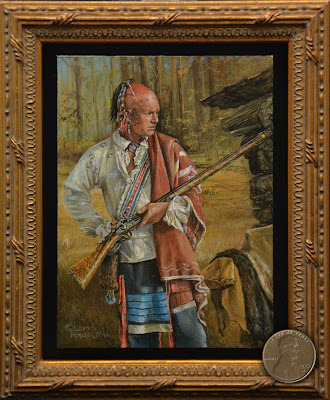 Luann Houser is a signature member of the Miniature Artists of America (MAA). More information about Luann Houser, her art, previous awards, etc. can be found on her website: www.luannhouser.com. Beautiful miniatures. Will you put "Traveling Companions" and the other four that will be at the Miniature Art Society in Florida on your blog once the show begins? I am too far away to see them in person. Thanks.